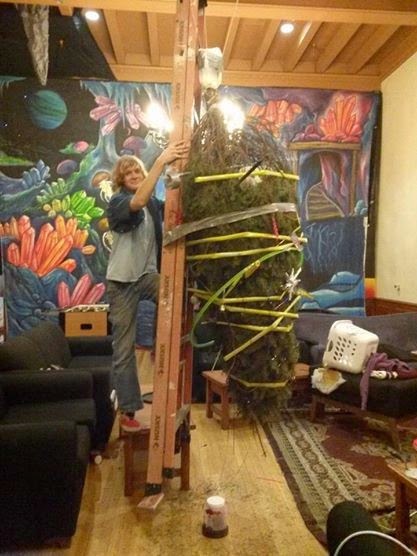 In December, Blacker Hovse gets a Christmas tree for the lounge. It’s hung upside down and decorated with a wide variety of items (usually found lying around in the lounge). Yes, the ladder is hanging from the tree in this picture. No, Andrew is not hanging from the tree in this picture. 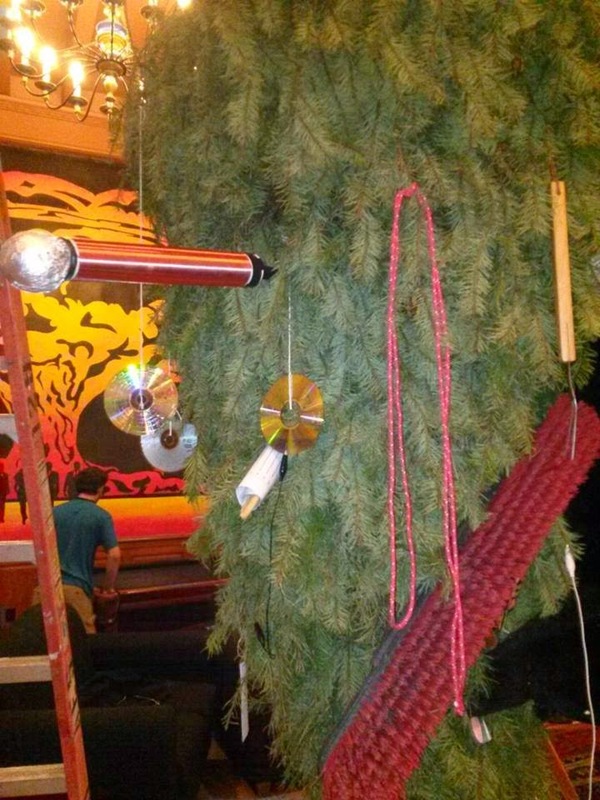 Last year’s tree, decorated with a Tesla Coil, broom, broken CDs, and more.